A new interactive map released by the Montana Budget and Policy Center (MBPC) shows that in most categories, Teton County’s rental housing market is slightly healthier than the statewide average, but still in bad shape. According to the MBPC, between 2012 and 2016, 30 percent of households in Teton County rented their living space. Out of that renter population, 28.7 percent had annual household incomes below $20,000. Last year, the average monthly cost of a two-bedroom rental in Teton County was $684, which was among the lowest rates statewide. Still, a minimum-wage worker would have to work 65 hours a week to afford a rental at that price. With a 40-hour workweek, he or she could only reasonably afford approximately $452 a month in rent. In all but one area the MBPC measured, Teton County averages were slightly better than the statewide numbers. The only category in which the county ranks worse than the state average is “housing cost burden.” Just under 74 percent of Montanan renter households below the poverty level spent more than 30 percent of their income on rent and utilities between 2012 and 2016, whereas in Teton County, that number was 84.3 percent. 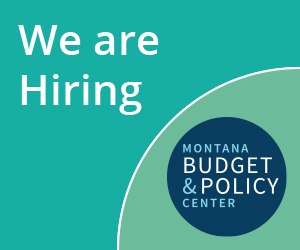 The MBPC is a nonprofit with a mission to “advance responsible tax, budget and economic policies through credible research and analysis.” For more information on the map or the organization’s work, go to montanabudget.org.